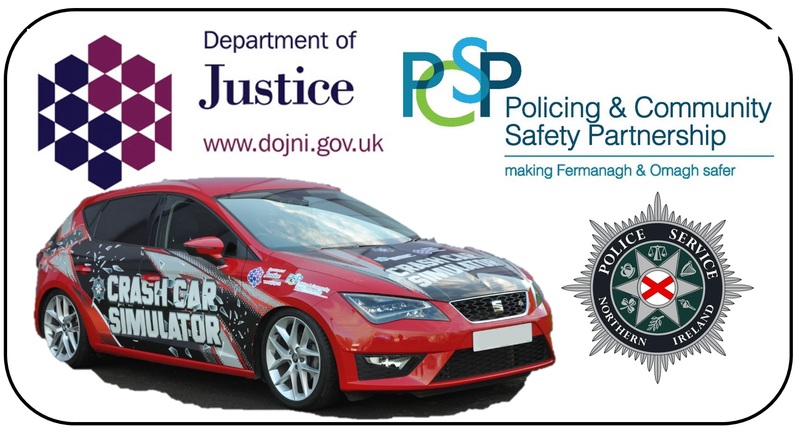 The simulator is a joint “safer driving” initiative between Fermanagh and Omagh and Mid Ulster Policing and Community Safety Partnerships and allows young drivers to experience the devastating consequences of driving irresponsibly including the potential for injury and death through the simulation of a car crash. 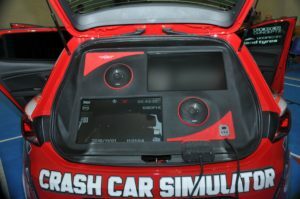 The simulator is a modified standard car and has been fitted with a high quality sound system, hydraulics, DVD player as well as a smoke and light system. It was developed with the aid of funding of £39,800 from the Assets Recovery Community Scheme (ARCS), administered by the Department of Justice. The simulator starts with a typical car journey. 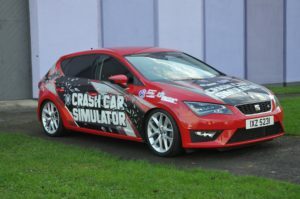 It provides an unique experience, giving the occupants the opportunity to learn from a simulated experience of what a car collision is truly like, the after effects of this and the consequences associated with driving irresponsibly. 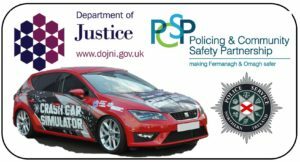 Through its high quality sound system, hydraulics, DVD player and smoke and light system, young drivers get to experience being in a crash and learn about the devastating consequences of driving irresponsibly including the potential for injury and death. The car, which seats four people at a time, is fitted with a DVD player with four screens – two in the front and two in the back to allow the operator to see the DVD being played and the reactions of the occupants, a professional sound system has been fitted and red and blue and red and white flashing lights. A smoke machine has been fitted which can release imitation smoke into the vehicle at point of impact. 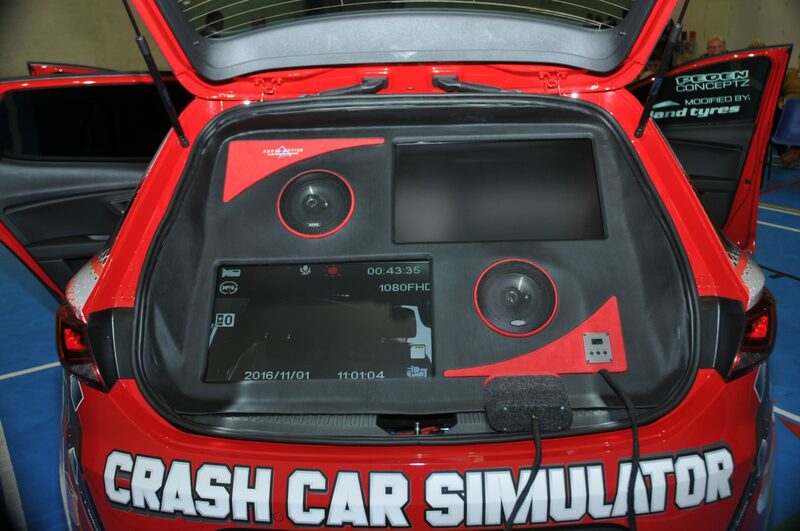 The crash car simulator is available to schools, youth groups and other community venues to reinforce the road safety message.